I’ve helped thousands of people successfully move to another state and moved over 10 times myself. Needless to say, I’ve spent a lot of time thinking about moving. Moving to a new state is a lot of work and is usually pretty expensive. Depending on how much you’re moving and the distance, costs for an interstate move can range anywhere from $1,000 to $10,000+. First, they plan their move well in advance. Second, they expect things to go wrong and plan for those scenarios. 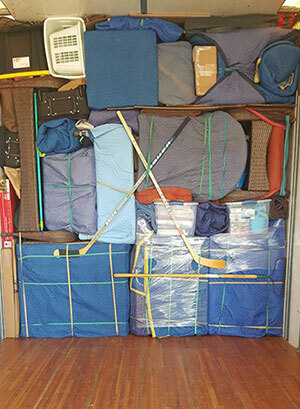 Our primary goal at moveBuddha is to make sure you have a successful move. So, we put together this huge list of tips and resources to help you prepare to move to a new state. If you’re moving for a job, your first question should be if there is relocation assistance. Many companies will offer reimbursement on moving company costs, storage costs, lease termination fees, temporary housing, pre-move visits, and more. If you have children, GreatSchools gives you ratings and comparison on all the local schools. Be safe! Use NeighborhoodScout to check local crime rates and find a safe neighborhood. Want to know who might be your neighbor? Esri’s Zip Tapestry tool breaks down common demographics by zip code. It’s a great tool for understanding the makeup of different neighborhoods. Unless you’re moving next door to work, you’ll want to take a look at typical commute times, traffic issues, and public transportation options to make sure you can get to work on time. Walkscore.com has a nifty scoring system ranking cities based on walkability, public transit, and biking options. Getting a job in another state before moving is hard. That’s why we put together a complete guide: How do I get a job when I move out of state? Be sure to check it out! While not everyone will be able to sign a lease or buy a home prior to moving, it’s a good idea to at least have some neighborhoods and listings picked out so you can visit as soon you arrive. A realtor can also be helpful to give you a local’s perspective on different areas. Don’t have time to visit? 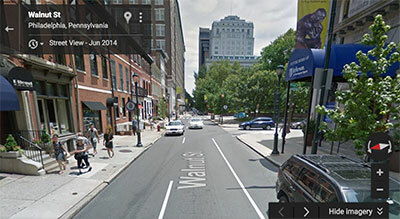 Use Google Street view to take a virtual walk around the neighborhood. Doctor, lawyer, nurse, teacher, realtor…? Every state has different professional licensing requirements or license transfer policies. Be sure to check this out well in advance of moving. Be sure to check out CNN Money’s cost of living calculator to get a sense of just how different your costs will be in your new town or city. Getting an idea of how your costs will change can also help if you’re negotiating salary or a relocation package with your employer. Packing always takes longer than you expect and nothing frustrates a moving company more than customers who aren’t ready on moving day. Not to mention, the mover will likely charge you for the delay. Save yourself the hassle and start packing early. When you’re emptying out closets and drawers make 3 piles. A sell pile for items with some value, a donate pile for items that can still be used, and a trash pile for the dump. Moving is expensive. Save receipts from donations as they might be tax deductible. Moving companies like to know ahead of time which items you plan on moving. An inventory list will help keep you organized and make getting moving estimates faster. Just be sure to update your mover with any major changes to the list. Many leases and homeowners associations have move-in/out policies. Parking restrictions, elevator reservations, and moving company proof of insurance documentation are common requirements. Moving companies occasionally have to reschedule, especially in the busy summer months. Moving out a day or two in advance gives you a cushion in case anything happens. Budgeting for a long distance move can be tricky. Even if you’ve read every checklist and thoroughly prepared to move, a major traffic accident or weather event can delay your movers and have you crashing in a hotel for a few nights. Unexpected costs are a part of moving to another state so be sure to have emergency funds available. Finding a good mover is hard, but fear not! We made a list of the best interstate moving companies and a guide on how to avoid moving scams. Since the new tax reform, as of 2018, all moving related tax deductions have been eliminated unless you’re military. Bummer! You should ask your mover two questions. How long does delivery usually take? And, what is the maximum number of days allowed for delivery? Cross country moves typically take 7-14 days to deliver. However, moving companies legally have up to 21 business days to deliver which means you can be without your stuff for over a month! If you plan on moving a car some states like California and Georgia will charge you a tax to register your vehicle. The tax amount is based on the market value of the vehicle and can be quite a bit of money for newer or luxury cars. Moving companies may give you quotes to ship your car but it’s a good idea to also get prices from auto shippers directly. Often, they’re able to offer more affordable rates. Just be careful to find a good auto shipping company. Hiring a moving company is almost always the most expensive options to move. If you want to save money consider using a rental truck. Or, if you don’t want to drive long distance check out our list of best moving container companies. Sometimes boxes can get lost during shipping. Consider taking items like jewelry, birth certificates, car titles, prescription medicines and any other important things with you. Make sure your moving company is aware of any items like fine art, chandeliers, expensive antiques or memorabilia. They’ll need to know to make sure everything is packed and insured properly. Cell phones can die or get lost. Be sure to give the moving company multiple phone numbers and backup contacts just in case something happens and they need to reach you. Finding a new doctor can take time. If you have any existing prescription medicines, be sure to get them filled prior to moving. Because if your phone or computer dies mid-move and you packed your charger that would stink. USPS mail forwarding is easy and awesome! Just be sure to request forwarding a few days before you move so it starts on time. Magazines, newspapers, meal subscription boxes… let them know you’re moving. Most states require you to get a new license within 2 weeks of relocating. So plan on a joyous trip to the DMV when you arrive. Yes, you’ll need to change your address with all 8 different student loan lenders, ugh! Don’t forget your auto lender, car insurer, and renters or homeowners insurance. Do your civic duty! Rock the vote! etc. etc. But seriously, do this! Unless you’re moving to or from a state without income tax, it’s likely you’ll need to file state tax returns in 2 different states. Most tax software can guide you through this fairly easily, but still something to keep in mind. Check out MeetUp.com or EventBrite to find cool groups of people and events in your area. Overcome your inner hermit and go meet some new people! If you’ve made it this far, you likely have a really solid plan put together for your move. If you still have some questions on how to plan an out of state move leave it in the comments!